Choosing the correct balance between quality and cost can be tricky for landlords when buying new carpet for a rented property. A very cheap carpet may not last long and may look unpleasant but on the other hand a top quality carpet will cost a fortune and could still be ruined by a tenant within weeks. To make this decision easier we have selected a number of ranges that offer outstanding value, hard wearing attributes and easy cleaning properties. 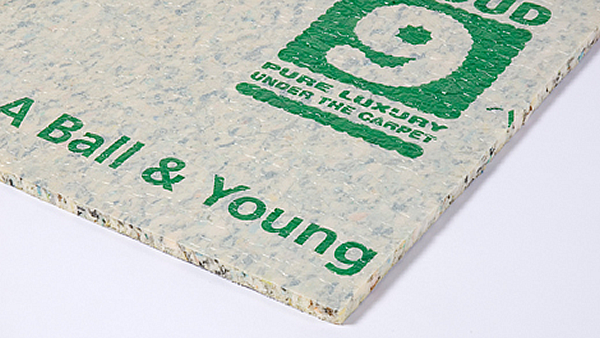 We have also selected a top of the range 8mm foam underlay that will withstand almost anything and still be in good condition for over 10 years so that even if the carpet is ruined and needs replacing the underlay will be fine, reducing cost and making the process of having the carpet replaced cheaper and quicker. All ranges are hessian backed, made from man made polypropylene fibres making them easy to care for and available in 4 and 5 meter widths. All offers include underlay and fitting. We can guarantee these special offer prices are considerably cheaper than any deal available in shops. Made From 100% stain defender polypropylene this carpet has been designed to be easy to care for. Able to resist most common household stains and remarkably easy to clean the right choice for everyday modern living. This special offer includes fitting and a top of the range 8mm cloud 9 contract underlay that will last for many years. Even if the carpet needs replacing this underlay will remain in good condition. Available in 4 & 5 meter widths and 15 colours all for an unbeatable price. This hessian backed heather twist is available in 8 colours. Ideal for all areas of the home. This heavy domestic carpet will remain clean with minimum maintenance. Heavy persistent sunlight will not affect the yarn. This special offer includes fitting and a top of the range 8mm cloud 9 contract underlay that will last for many years. Even if the carpet needs replacing this underlay will remain in good condition. Available in 4 & 5 meter widths all for an unbeatable price. Special offer prices do not include uplift or disposal of old carpet, moving of furniture, gripper, doorbars or stair fitting charge.